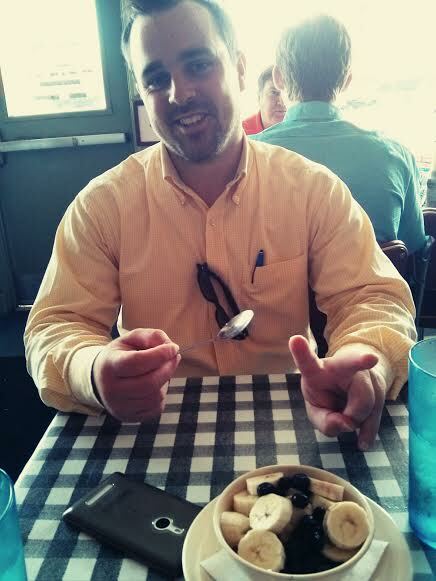 i’ve recently spent time in dallas, texas for work, and although we have been keeping quite busy, we always find time for a good meal. cranky consultants are not happy consultants. 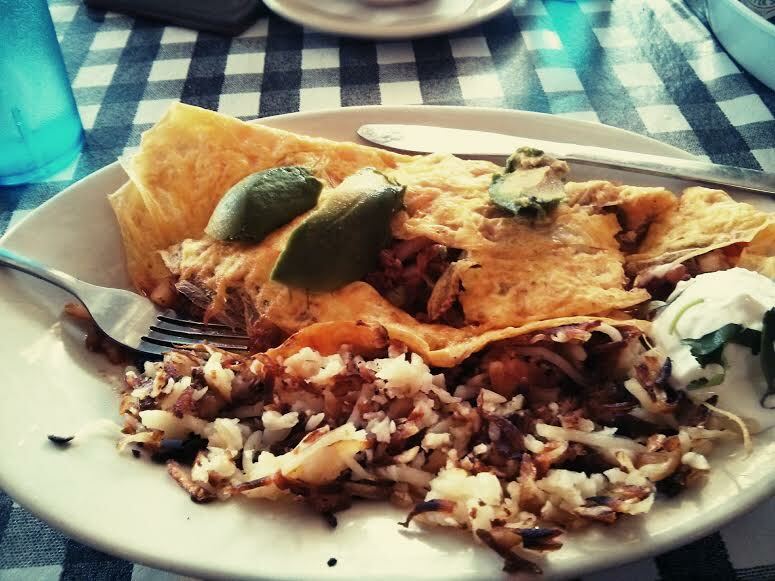 dallas is quite the foodie town, and i feel like we’ve done a decent job of exploring it. of course, i wouldn’t be opposed to a return trip to find and try even more local spots. these restaurants are presented in no particular order. and i am warning you now, we did a lot of eating. 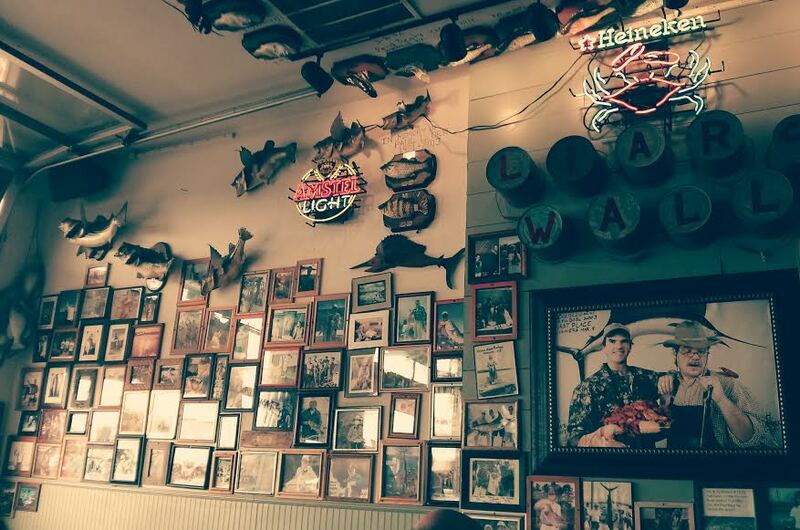 there are many spots along luther lane that we tried, and the flying fish is one of them. 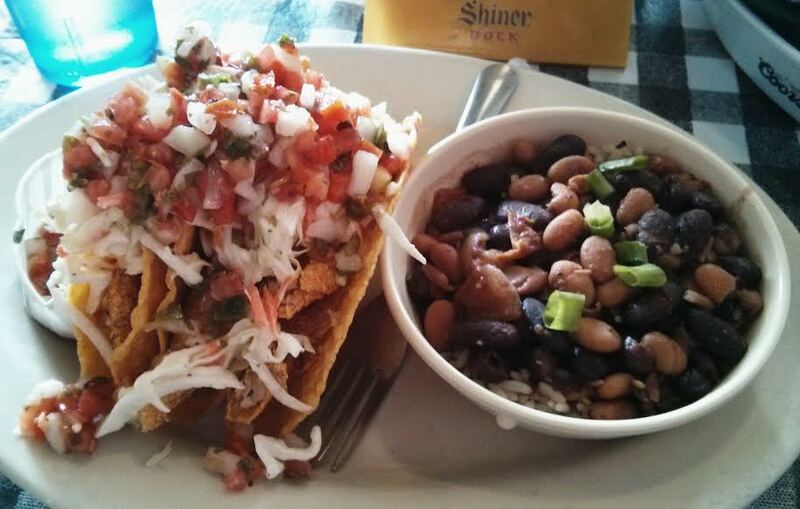 the flying fish is fast-casual and serves up only the best catfish, shrimp, and oysters (just to name a few) found in the east texas fish joints. marty and batkinson had been a couple of weeks prior and said it would be worth another visit. i’m a big seafood fan, so i was all for it. i loved the covered patio at the front of the restaurant and insisted we dine out there. we placed our orders, grabbed our drinks, and helped ourselves to a table. 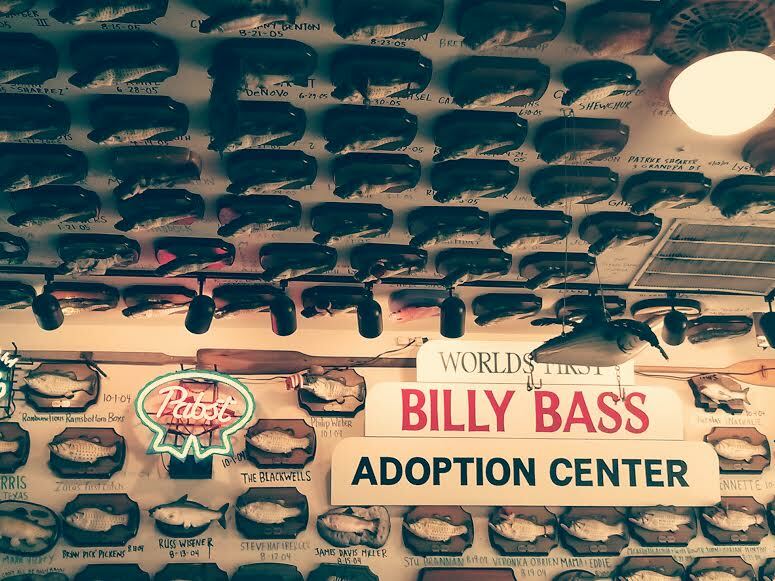 donate a billy bass and get a free meal! marty enjoyed the trout platter for lunch that afternoon. the skin came off easily, the trout had a mild fish flavor, and it was nicely complemented by the seasonings and generous topping of toasted almonds. the side of spinach he also had was sautéed and seasoned nicely. a great choice if you ask him. 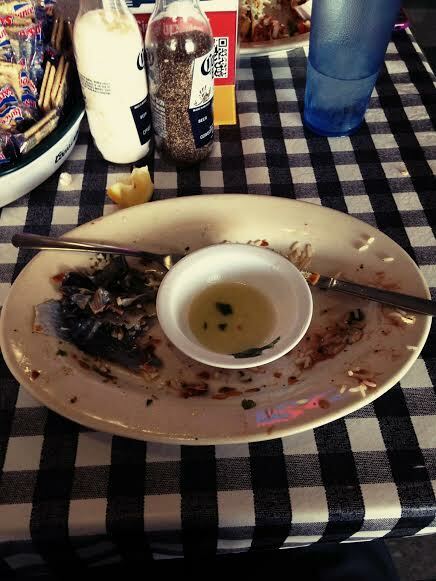 batkinson went for the grilled tilapia poboy, although he didn’t look terribly thrilled when it arrived at the table. the presentation was pretty standard, and he felt the flavors were too simplistic. he wanted something more! the french fries also left something to be desired, another reason why he probably won’t return by choice. it might be a good local lunch spot, but in his opinion, it certainly is not somewhere he would come for dinner or a date. i saw fish tacos on the menu and couldn’t help myself, so that was my lunch for the day. the catfish was perfectly fried, and it wasn’t overpowered by the refreshing pico de gallo and tangy mayo sauce. 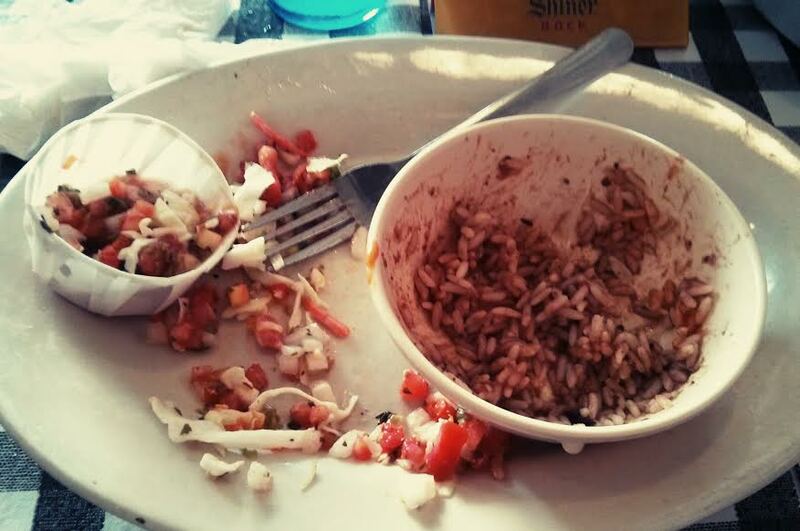 although i love red beans and rice, the side order i had was lacking a bit of flavor. sounds like a job for some cholula sauce! one morning later that week we found ourselves back here for breakfast after an early morning run. we needed to fuel up for the day! 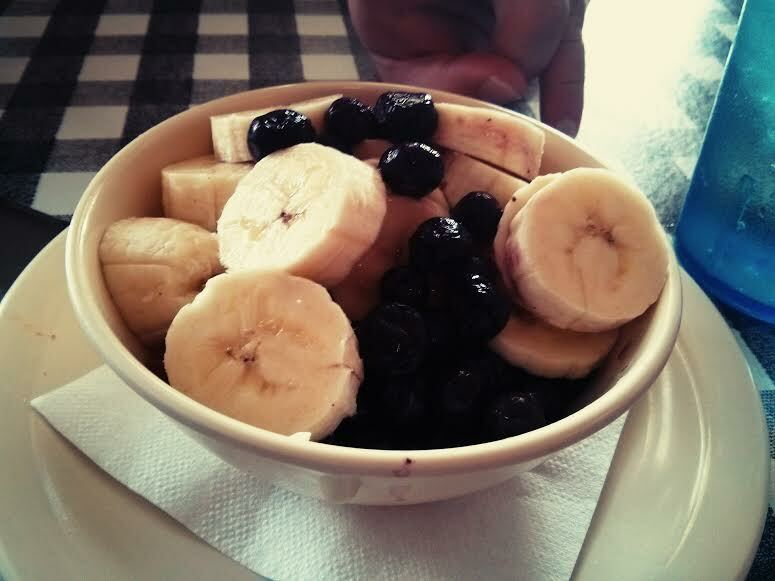 batkinson kept it simple with a cute, i mean manly, bowl of fruit and yogurt. marty really liked the whole wheat toast with his meal. it was thick and hearty in the best way possible. i indulged and ordered the chorizo omelette. although it was quite a heavy meal for so early in the day, it was worth it. this omelette was monster-sized and stuffed full of savory and spicy goodness. everything is bigger in texas, right? 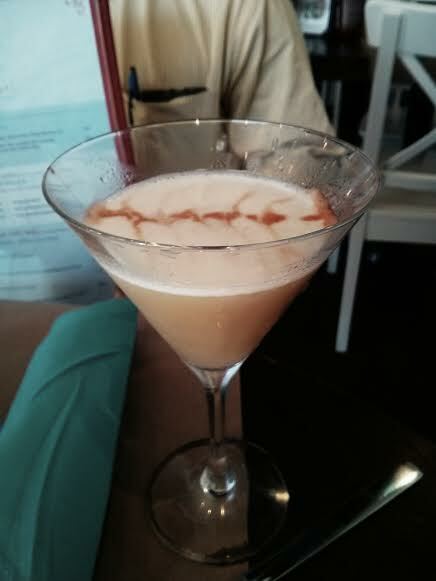 overall, i would recommend the flying fish if you like local spots and honest food. it isn’t fancy, but the friendly staff and welcoming atmosphere are what keeps folks coming back. burgers sounded like a great idea one afternoon, so we hustled over to the corner of luther and westchester to beat the crowd at hopdoddy. the name is just so much fun to say, don’t you think? hopdoddy got its start in 2010 and has been supporting local farmers, daily grinding their meats, and serving up delicious creations ever since. i love a good burger and am always ready to try a new place’s twist on this old standby. 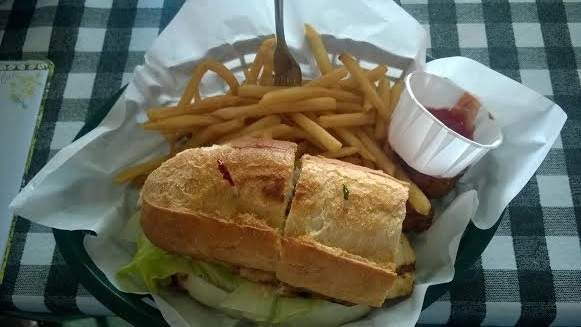 the first time we went i tried the terlingua with a side of truffle fries. the burger took a little while to come out, which is just fine, because i know that they were making mine right then just for me. while we waited, we were kindly seated at a table that the hostess had reserved for us and then were tended to by the friendly waiter. the burgers arrived, and i think my stomach may have grumbled instantly. the burgers looked to be the perfect size, and the fries were mouthwatering. the chile con carne and tillamook cheddar were delicious atop this angus beef patty, and the sassy sauce was a nice little addition. and those truffles fries? oh my, they were divine. one small order might even be enough to share among a couple of people. this local bbq joint had been recommended by several folks. although it isn’t really in town, i convinced jon and batkinson it would be worth the short trip. i also told them both to relax and get over it, because i had the rental car keys and i was in the mood for adventure. isn’t life about seeking new and adventurous things. YES. their “bit” here, if you want to call it that, is you get to pick your meats right off the pit grill on which they were cooked. you pay by the pound, which provides a lot of flexibility depending on how hungry you are. the three of us hopped in the queue line, anxious to see which meats were being cooked up that evening. we turned the corner and, oh my, it was a carnivore’s dream. everything looked so succulent! how was a girl to choose? thankfully i know no stranger, so i politely bothered the couple in line ahead of us for their recommendations. they were more than happy to make a few suggestions, and they even wished us an enjoyable meal on their way out. how sweet! as i surveyed the mammoth grill before my eyes, i carefully made my selections: a few pork ribs, some slices of brisket, a couple chicken poppers, and some mild sausage. then it was inside to pick out sides, sauces, and drinks. i was all set with my corona, but i couldn’t pass up the mac’n’cheese and jalapeno cream corn. the cashier weighed the meat, rang me up, and took my payment. the summer texas night wasn’t too hot, so i found a table out on the patio for us. so, how was it all? just wonderful! the brisket was mouth-watering and the chicken popper, which was also wrapped in bacon, was so juicy and flavorful. i could have made a meal just out of those little guys. the ribs were fine, but they wouldn’t be my first choice. the sides were pretty standard, nothing that knocked off my socks. 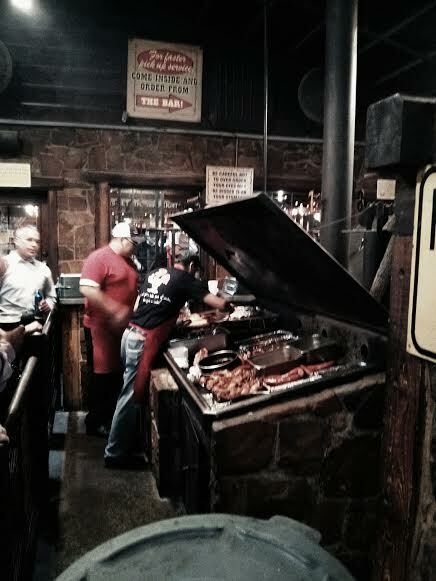 when you find yourself at hard eight, stick to the meat. it’s what they do best. one night mark and kathleen were able to steal me away for dinner, and seeing as how my coworkers were driving me cuckoo, i was quite excited for a short getaway. 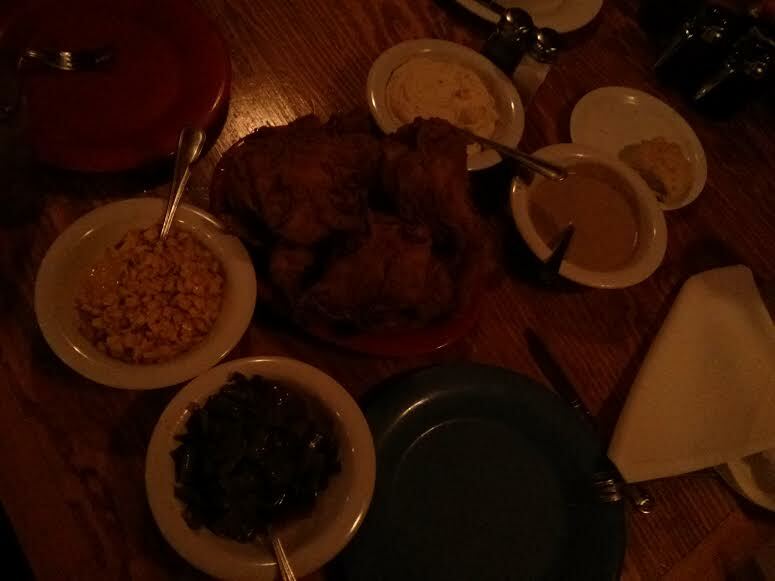 just north of dallas, a bit closer to frisco, we pulled into the parking lot of babe’s chicken dinner house. mark and kathleen had mentioned on the ride up that the original babe’s is actually in roanoke, but that this closer location is just as great. we were seated inside after a short five-minute wait, and let me tell you, that dining room was loud. lots of families with rowdy kids surrounded us, and we all three found ourselves raising our voices to carry on the conversation. the menu at babe’s is simple. you choose which meat you want as an entrée, and then they bring you bottomless sides to share, a family-style approach. 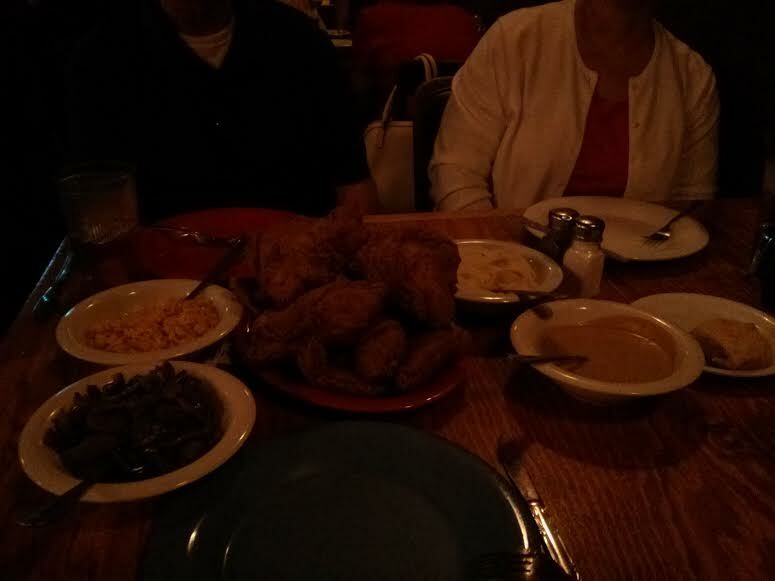 mark and kathleen had raved about the fried chicken, so it was an easy choice to make. we placed our orders, and as we munched on homemade biscuits with honey (they were awesome) and salad, we noticed the table next to us. it was a family of eight or so, grandparents, mom and dad, and a troop of kids. every child was on a mobile device of some kind, none of them interacting with one another and hardly anyone paying the waitress attention. i know technology is a great thing, but there’s a time and place. what a shame. i didn’t have too much time to dwell on them, though, because soon enough there were plates and mountains of food distracting us. thank goodness this dinner would be a group effort, because there was just so much food in front of us. 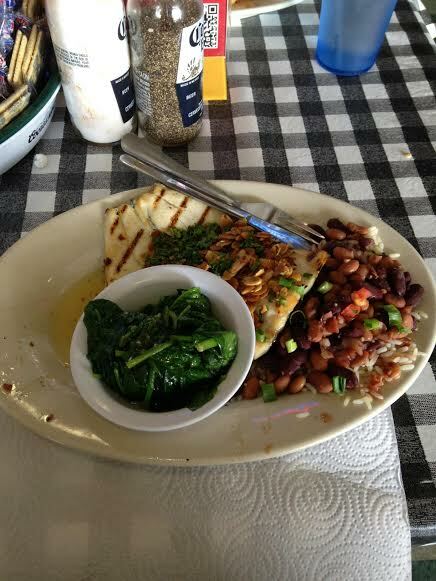 “let’s eat!” mark said, and so we passed plates around, scooping a little of this and grabbing forkfuls of that. our chatty mouths were quickly occupied with this delicious home-cooked meal. it was so relaxing, and i will always believe that food truly can, and does, bring folks together. the chicken was juicy and cooked perfectly, not dried out at all. i tried not to fill up too much on the sides, but i just couldn’t resist the mashed potatoes and gravy. the green beans were yummy, and the corn was crisp and buttery, just like it should be. no meal is complete without dessert, though, so i ordered a slice of chocolate pie to-go. it would be the perfect treat to enjoy while i snuggled up in the hotel. a rich filling, a light and sweet meringue, a homemade piecrust. nothing beats it! batkinson and i were in the mood for something a touch different for lunch one day, so we stopped in at grip to get a little mediterranean. ziziki sauce and cucumbers and hummus sounded like it would hit the spot, so you can bet my stomach was starting to grumble. the menu was pretty straightforward, and everyone else in the restaurant really seemed to be enjoying their meals. i finally decided on the falafel grip (wrap) with a side of french fries because, you know, nearly no meal is complete without potatoes. ha! the grip was, to put it simply, awesome. the chickpea fritters were warm and juicy and bursting with flavor. the dressings were delicious with it, too, although, i should have 86’ed the pickles. i honestly didn’t even need the fries because the grip was so large. man, writing about it here makes me want another one so badly! and sooner rather than later. you can bet i’ll be back there next time i’m in dallas, maybe even to try one of the salads because they looked dynamite, too. the boys weren’t big on having vietnamese, but they so kindly let me pick the restaurant for dinner one night, and i decided on miss chi’s. we had passed by it several times on our way elsewhere. this spot looked so cute and darling; i thanked jon and batkinson for indulging me. we were taking an early bird dinner, only about 6:30 that night, and we were the only guests in the restaurant. the waiter came over with a smile and welcomed us, eager to make us some drinks, as he was practicing his bartending skills. “well, we can help you with that!” i assured him. i ordered the lioness. how could i not order a drink with a name like that? 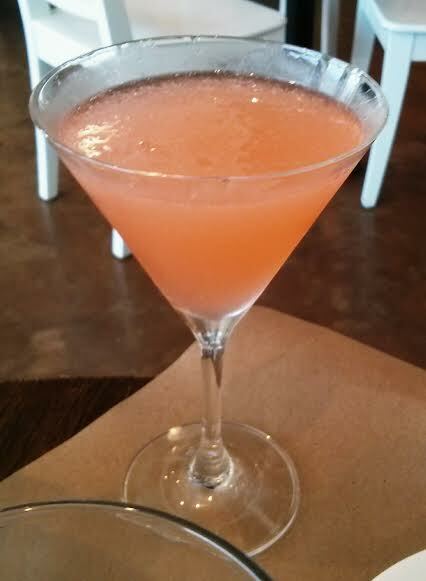 the rittenhouse rye 101, aperol, st. germain, and champagne came together as a very strong drink. it was the only one i needed all night! p.s. those things in the background there? they’re the crispy crab and cream cheese wontons, and they’re spectacular. here, here are those wontons up close and personal. NOMS. 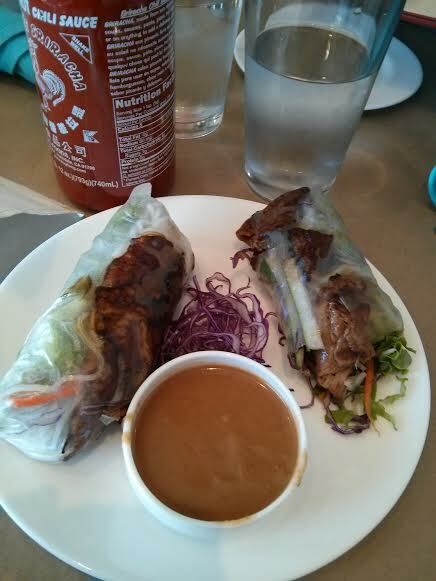 jon had ordered the spring roll as his starter, and he scarfed those puppies down. i was able to sneak a bite before they were devoured, and i agree with jon, they were delicious. batkinson and jon were also enjoying some drinks that night, but i don’t remember the names, as they didn’t stop at just one. i think one might have been the month of sundays and the other the honey drips? i don’t know. regardless, here they are! 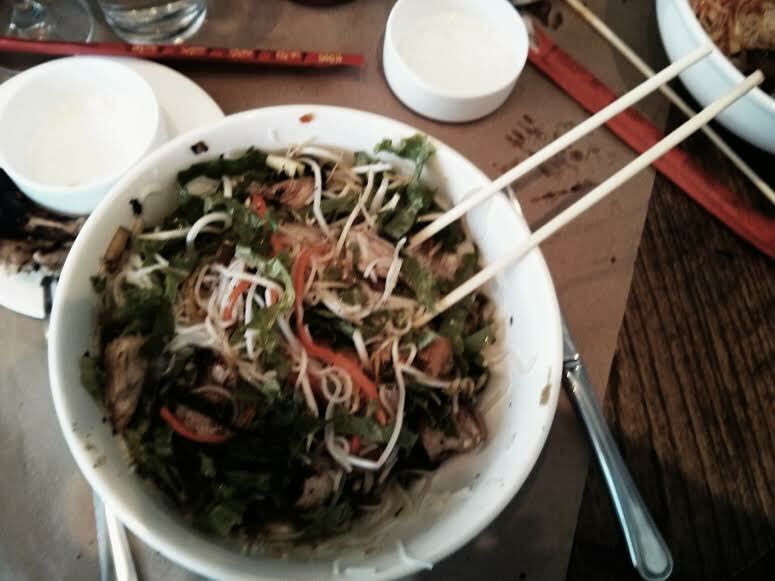 i was craving rice noodles, so a bowl of vermicelli was just the ticket. i went with the grilled pork chop and, oh my, it was so wonderful. the pork chop had clearly just been grilled for my dish, and the noodles and sauce and vegetables all just melded perfectly together. and if i recall correctly, i might even have finished the entire bowl. see, doesn’t a place like miss chi’s just make you smile? the guys who started hg sply co. are looking to get back to the basics of how food was meant to be eaten and enjoyed. they strive to better the art of nutriment by using food that comes from wildlife and naturally farmed ingredients. this part of the mission i can agree with. the food was wholesome, although i cannot testify that it was the tastiest. and although hg sply co. is striving to provide “simple clean food, classic drinks, and humble hospitality,” i’m not sure i can wholly agree there, either. read on to find out more! batkinson is on a mission to never drink on ground level, so we hauled ourselves to the upstairs patio. the place was already full of folks enjoying dinner and drinks! it’s a free for all when you get up there, so we were lucky to find a big table back in the corner. 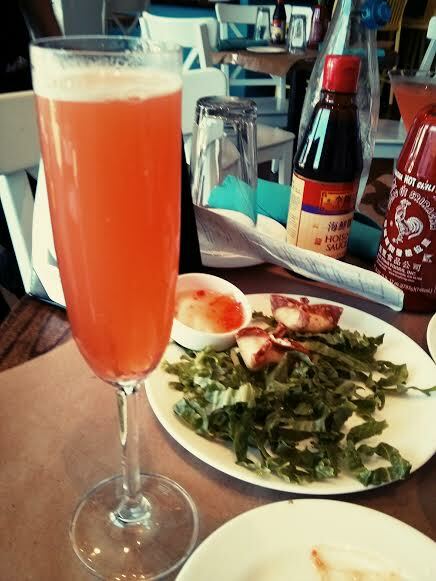 true to form, i started with a drink and the roasted beet and green apple salad. as you all should know by now, i love beets. this salad rose to the occasion. 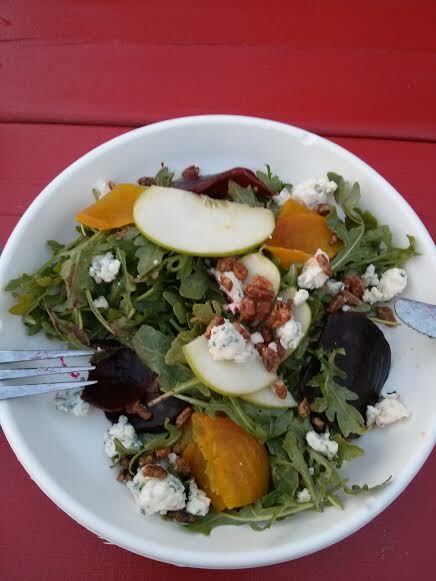 the arugula wasn’t too bitter, and the bleu cheese and candied pecans were the perfect amount of sweet. roasted beet and green apple salad. 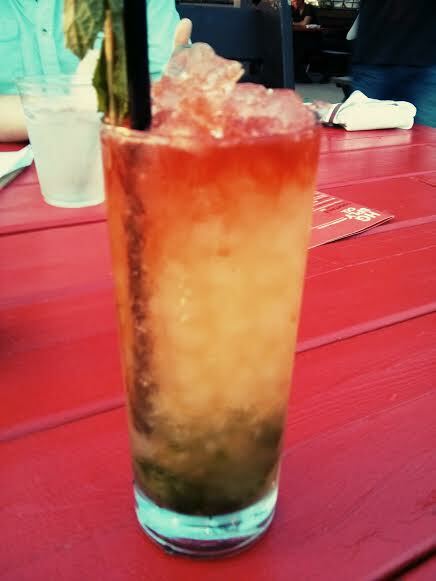 as for the drink, it was so pretty! i don’t remember what it was, but i remember i liked it. the folks at our client had recommended the bowls, so that was what i would have. 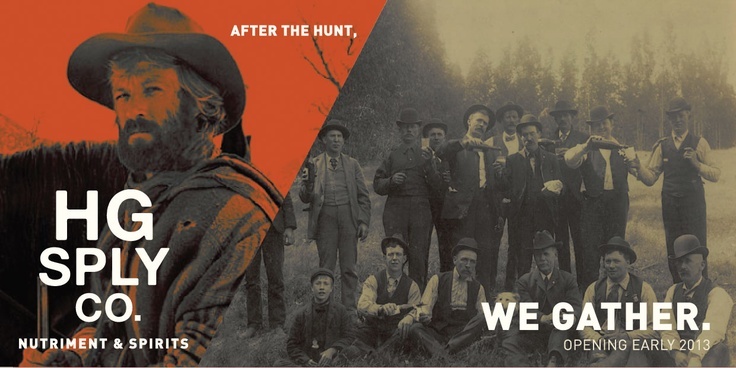 i went with the hunted, and i’ll be honest, i was quite underwhelmed. 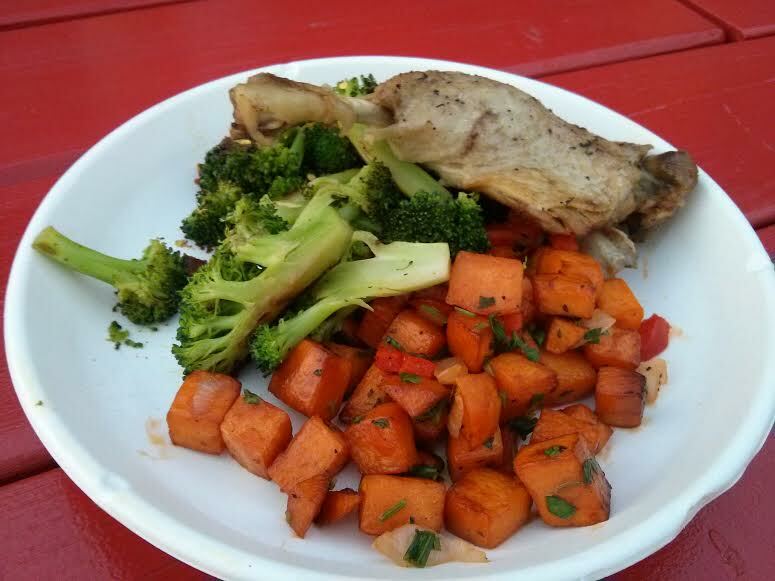 the sweet potato hash didn’t have a lot of flavor, the broccoli was a tad too spicy, and the duck was not cooked well at all. i wanted to like it; i really did! but some things just aren’t meant to be. 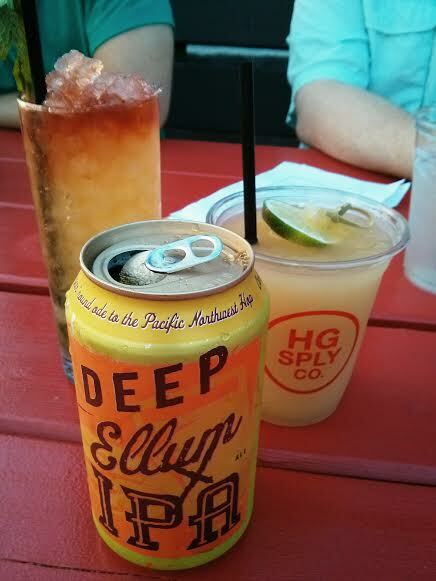 my overall opinion of hg sply co. is this one: the food, all in all, was okay; the drinks were great; the service was forgettable; and the atmosphere was enjoyable. what’s the best news about hg sply co. though? they have killer views.